On Friday I needed to take a break from my knitting and my front door was looking very bare since I took down the Christmas wreath, some months back. I had been thinking of some ideas for a spring wreath and this is what I came up with. 1. Cut stripes of vintage sheets about 1 1/2″ wide and several inches long. Pin one end and wrap around the wreath. I alternated fabrics, but you can use the same fabric if you want. Continue wrapping until all the styrofoam is covered; pinning as you go. 2. Next, make your pinwheels. 2a. Cut a square piece of paper. I did 3 different size pinwheels, so I cut three different sized squares. 2b. 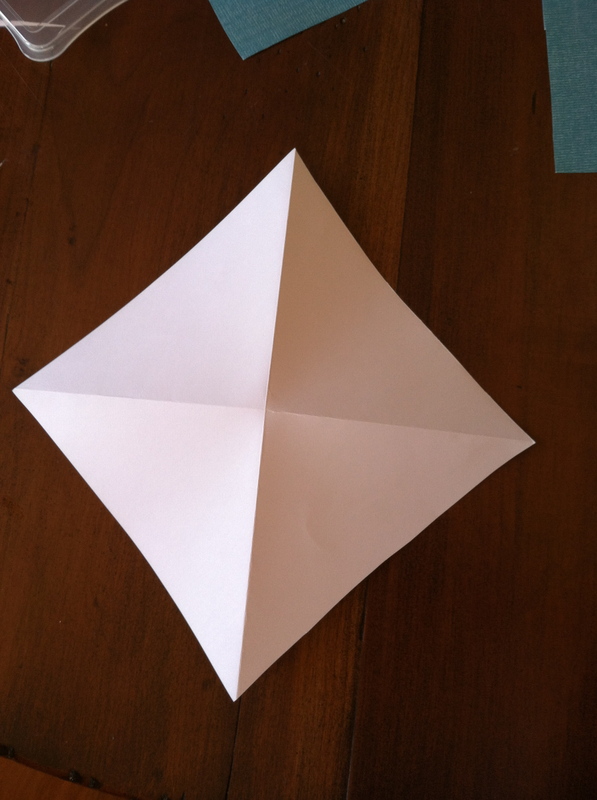 Fold the square in half both ways to make a X. 3. Cut on each fold about 1/2″ from the center. But do not cut all the way! 3a. 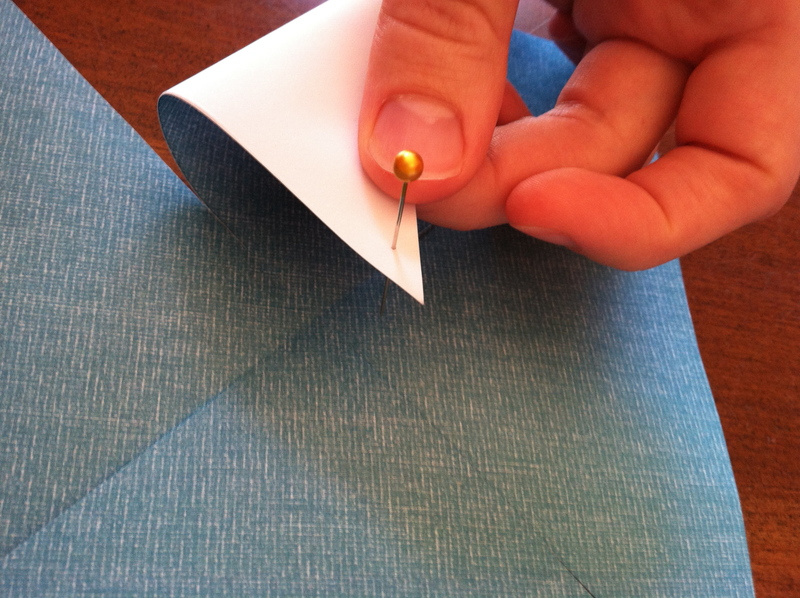 Now, bring every other cut piece to the center of the square and pin all 4 pieces together. 4. 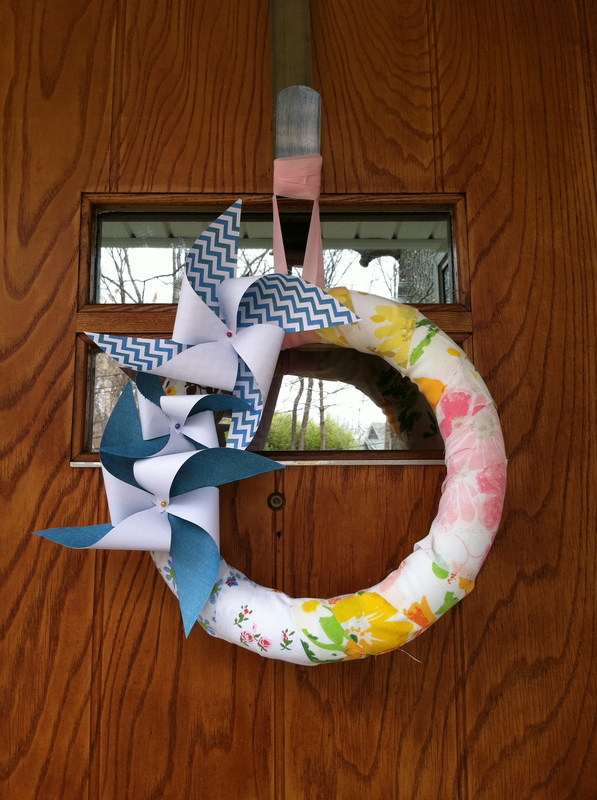 Then, stick the pinwheel with the pin poking through the back into the styrofoam wreath. 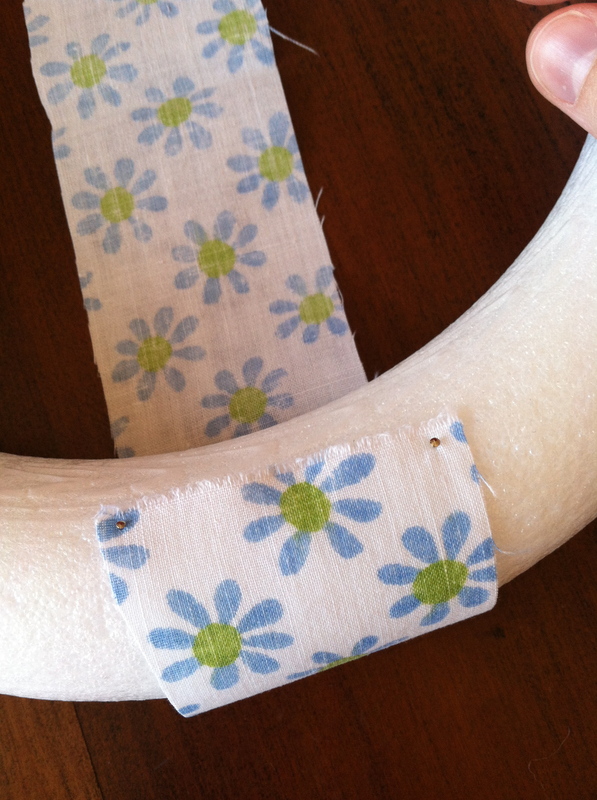 Use a pretty ribbon to hang the wreath on a wreath hook.